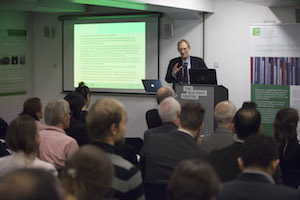 The London–Loughborough EPSRC Centre for Doctoral Training (LoLo CDT) in Energy Demand held its 7th annual colloquium at the Building Centre in London on 17 November 2016. This event gives a great opportunity for the students, alumni, academics and people from industry to exchange ideas about energy-related issues in built environment. This event is not a strictly academic conference. 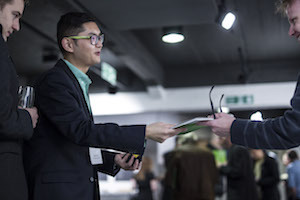 Professionals from the private sector also attend the conference, giving a chance for the students to share and promote ideas with industry and other academics on different topics, ranging from purely technical engineering to energy policy. 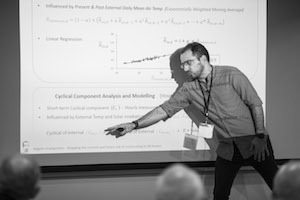 This year the event started with the final year PhD students presenting their work on a wide range of topics: thermal structure of walls, insulation in solid wall houses, assessing daylighting performance in schools, evaluation of retrofit strategies, quantifying the energy demand response of domestic appliances and predicting overheating risk in UK homes. The variety of the topics emphasises the multi-disciplinary nature of the LoLo CDT program. The presentations were followed by a poster session, where the majority of students presented their ongoing projects. 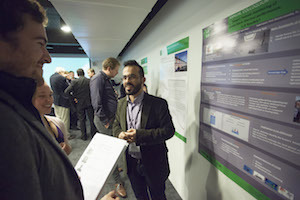 The attendees had the chance to go through each poster and have a discussion with the young researchers about the aims, methodologies and findings of their research. The event continued with the keynote speaker, Claire Curtis-Thomas from the British Board of Agrèment (BBA), who spoke about the challenges and issues of insulating the UK housing stock. The speech was very interesting and highlighted the difficulties encountered in the process of retrofitting the housing stock. 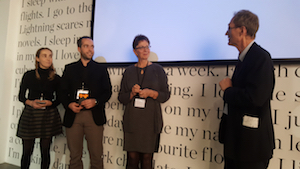 The session concluded by awarding the best two posters presented during the poster session, which were awarded to UCL’s Moira Nicolson & Loughborough’s Francesco Babich.